How to improve LG G6 battery life? Battery life of the smartphone is measured by the talk time as well as standby time of the phone. LG G6 battery life is well known because of the extended battery life. The phone is amazing, but it owns some limitation, which is affected, negatively such as the fast draining battery, which makes the features of the phone simply useless. It is true that mobile phone is considered useless if it does not have a long-lasting battery because all of the functions and features depends merely on the battery. Android Power hub assists and allows the users to improve LG G6 battery life that will remain long lasting. The LG G6 battery life is pretty well because it owns 3300mAh battery that needs to perform well. Every person needs to carry out different functions with their smartphone, which means the battery life of phone won’t respond similarly. Then get to know the amazing tips and tricks to save the battery life of your smartphone. Now see all the apps that won’t crack the top five spots or are using the most battery on the chart. If you can see the social app or streaming app that is on the list and has not been used then make sure to FORCE STOP it. After changing, the settings do not forget to reboot your phone. Just tap on the application to uninstall it or disable it. Disabling will turn off the features and functions of the app. Most of the people are unable to use the social platforms every day. The busy routine and hectic lifestyle allow them to use the giant platforms before going to bed or in free time. Therefore, if you do not use Bluetooth or Wi-Fi regularly, then it is best to turn them off. It allows you to save the battery life. 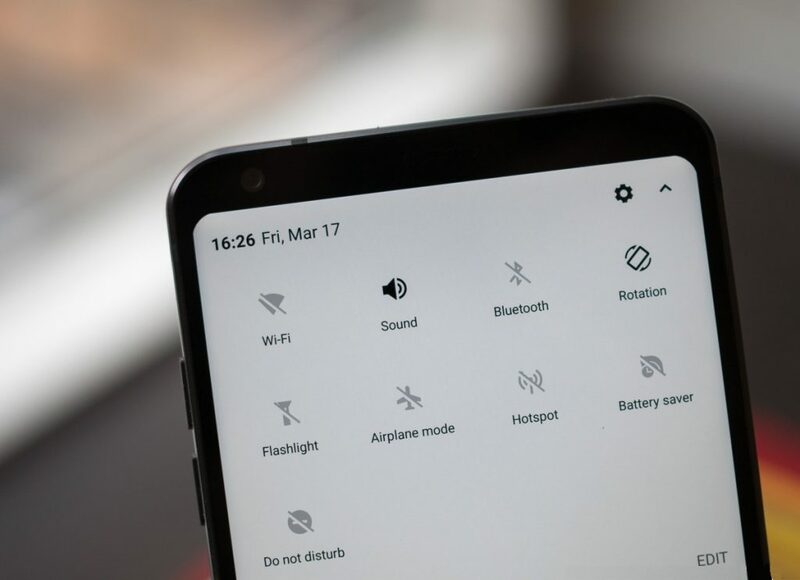 You can use toggle bar to switch off the Bluetooth and Wi-Fi to save LG G6 battery life. LG G6 offers its customer’s battery saver mode. LG G6 battery life can be saved by using the saver mode. You can enable the mode by using the quick notification settings and turning them on. You can also switch to the auto-enable mode when you are left with 15% battery. 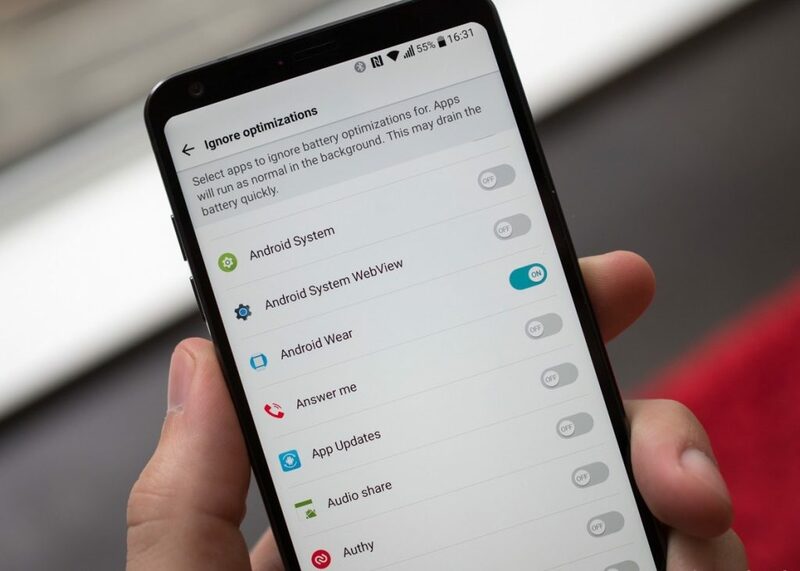 Switching to the battery saver mode will provide you same effects and allows utilizing the extended life of phone, but the brightness will be turned down, vibrations will be reduced, and some of the apps will be restricted to provide pop-up notifications that drain the battery. However, it’s all you can have, Android Power Hub will get back to you with more effective tips and tricks to improve LG G6 battery life. 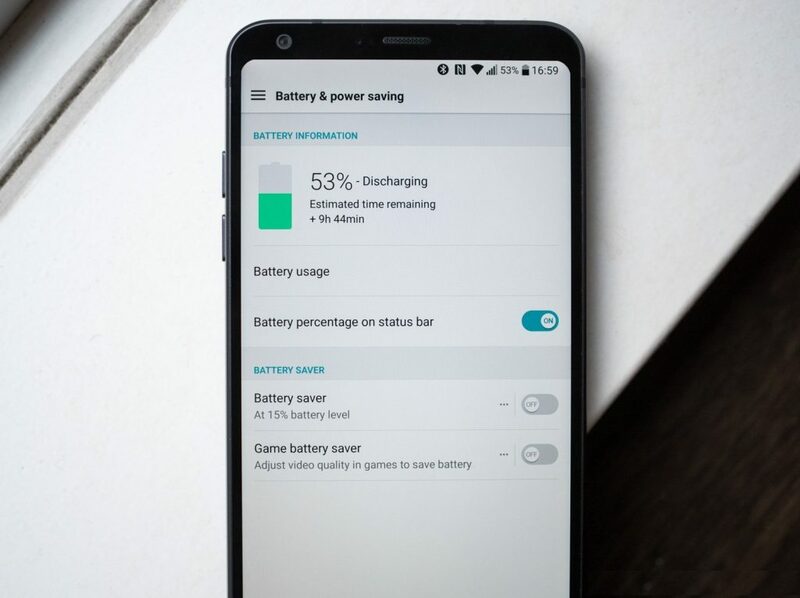 How to Fix LG G6 Battery Life Issues?